They’re in cabs, ATMs, and the Entertainment District, and they’re about to be in all TTC vehicles. 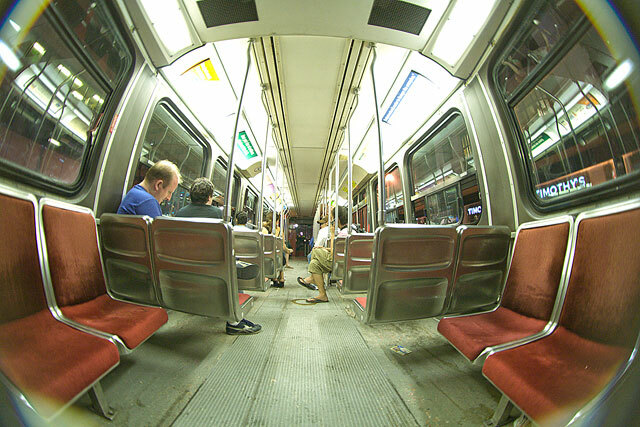 By next June, every one of the TTC’s 1.5 million daily riders will be photographed multiple times over their journey. A part of the TTC’s $18-million security plan, the commission will install up to 12,000 cameras throughout the system—in key station areas and on streetcars, buses, and subways. The intention is to provide police with evidence if a crime is committed. Councillor and TTC chair Adam Giambrone says that the images captured will not be used for any other purpose, nor do anyone other than the Toronto Police allegedly have access to them. Footage from the cameras is not only to be recorded; staff at the command centre will be able to tap live into any of the subway cameras, including audio, which the TTC believes could also be useful during emergencies. For buses and streetcars, the recorded video will be stored, with only the audio available to the command centre on a live basis. Privacy advocates, such as the Toronto Public Space Committee, are opposed to the plan and fear that the recorded images are ineffective and could have a potential for abuse. The TPSC has vociferously protested public cameras being installed around the city. Currently, there are surveillance cameras at the station ticket booths, and above each subway platform’s Designated Waiting Area. Police have issued stills from TTC security footage in the past in an attempt to identify crime suspects. Photo by rebootyourcomputer from the Torontoist Flickr Pool.